There are a number of routes which you can start down to pave the way for success. You can sign up for a leadership role in an extra-curricular activity, take up learning a foreign language, get a certificate in basic computer programming or volunteer for a charity, for example. But the most promising and most direct way to achieving your goal is to land a valuable internship. Gaining an internship today is not purely about populating your CV. According to 2015’s Backing Soft Skills report: ‘97% of UK employers believe soft skills are important to their current business success, and over half say skills like communication and teamwork are more important than traditional academic results’. Therefore, the things that are likely to set you apart from other candidates will be these vital soft skills - how you articulate your ideas, for example, how you interact with your boss and colleagues, and perhaps even how you respond to failure. So what exactly are these soft skills and how will they help you land that amazing internship? The ability to cope with change and adapt to an ever more dynamic workplace is one of the most overlooked skills in business, and an intern who is able to adjust quickly to new work environments will be much more likely to excel in their delegated tasks. Similarly, having an open mind when it comes to working with different people and with different scopes of work, as well as being able to multi-task between various assignments, is essential to individual progress. 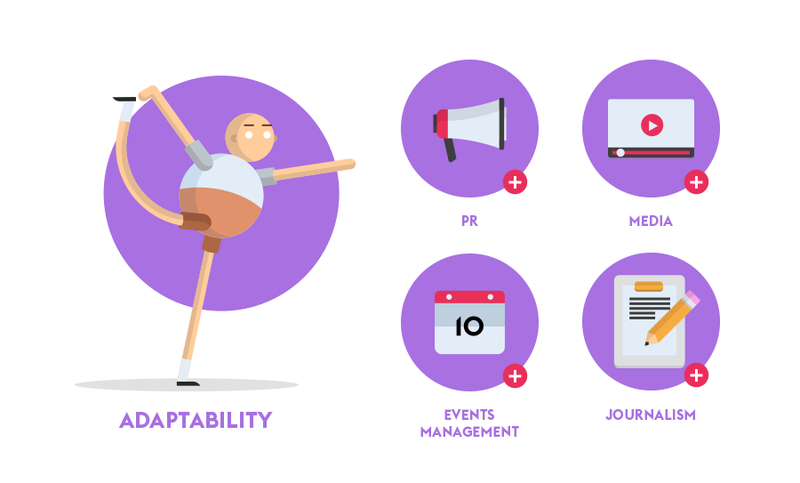 Those who thrive on change and enjoy frequent disruptions to their routine will find that these naturally adaptable abilities will serve them well in placements within PR, Media Jobs, Events Management and Journalism. To showcase this strength in an interview, learn how to answer questions you haven’t prepared for to keep your interview nerves down and remain confident. Problem solving is one of the most openly sought-after skills for employers. As interns, the immediate challenge is to make reasoned judgements and find solutions independently on a daily basis. What sets a good problem solver apart from others is their positive attitude towards tackling challenges and a willingness to take personal responsibility when seeking a way around the problem. 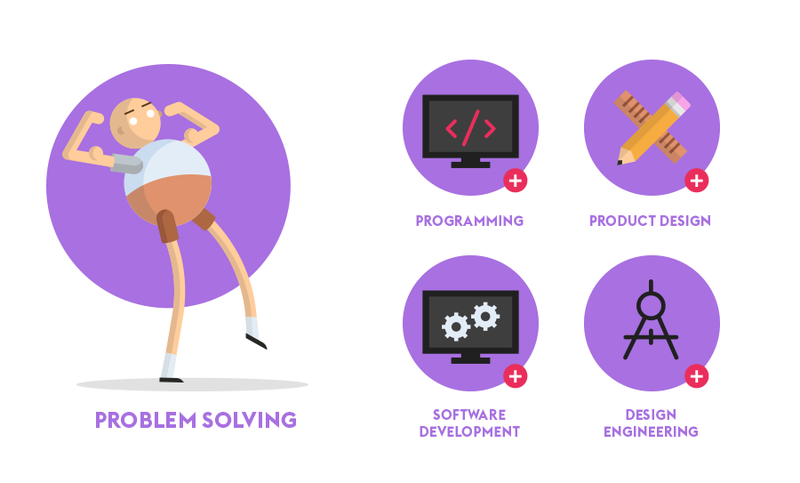 If you strongly believe that problems are actually opportunities in disguise, and that solving problems is much more enjoyable than simply tolerating them, you will likely thrive in an internship in programming, software development, product design or design engineering. To demonstrate your critical thinking skills in an interview, learn to ask the right questions and show how you can turn a negative into a positive through addressing your weaknesses in the right manner. Although you will be hired as an individual, it’s crucial to remember that you are going to be one part of a bigger organisation. Many people have naturally fostered an achiever’s mindset, whereby proving ourselves to get a promotion has become more important than working together to achieve the greatest productivity. But before climbing the ladder to be a leader, you must first understand the dynamics of working within a group, and learn to be a team player. To switch to a collaborative mindset, start with having an open attitude towards working – from understanding different points of view without debating or arguing, receiving criticism without reacting defensively and sharing knowledge and experience openly with your co-workers. 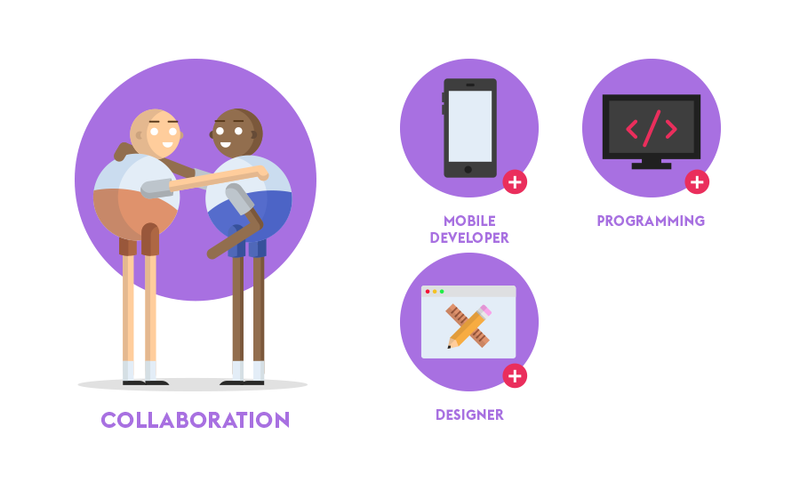 If you share the above mindset, you will fit right into a designer internship, programming internship, or even a mobile developer internship. To showcase your collaborative mindset in an interview, give an example of how you’ve responded to criticism and talk about the role you have played in a successful collaborative project. A good communicator does not simply deliver messages, but strives to build a personal connection by considering how their message impacts other people. 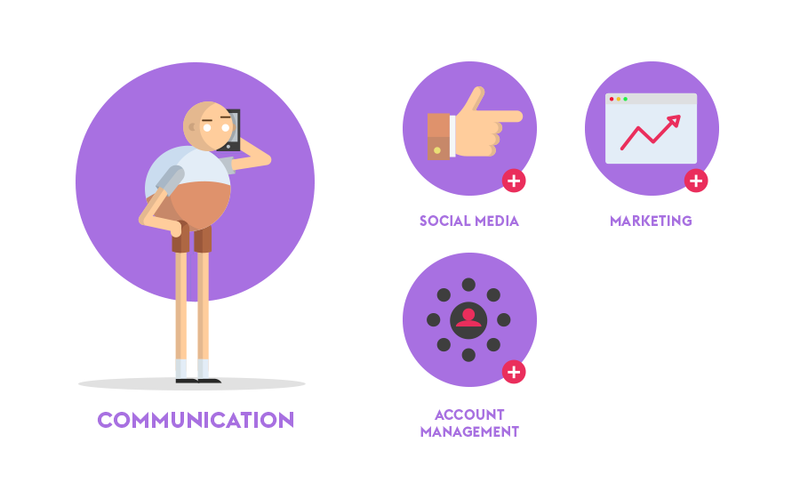 A marketing intern who highlights the company’s benefits in relation to the customer will gain more attention than another who simply lists the company’s strengths, for example. Similarly, actively listening to other people one-on-one allows you to respond appropriately, ensuring that others feel their opinions are not only acknowledged, but also valued. Embodying the above skills will put you ahead of the game for internships in Social Media, Marketing and Account Management. To demonstrate your skills in an interview, give examples of how you interact with people at different levels and further polish your communication skills by preparing for tricky questions. When it comes down to whether an internship leads to a full time job or not, self-motivation is often the key – ‘60% of HR directors identified employee resilience as key to enabling organisations to achieve their strategic objectives’ as reported by Right Management’s Flux Report. A self-motivated individual has an intrinsic drive to go that extra mile to reach goals, to achieve beyond what has been asked and has the perseverance to deal with setbacks. A self-motivated intern who strives for excellence in everything they do will naturally require less managing and be rewarded with both trust and greater responsibility. To those who go above and beyond every task, your path could lie in a role such as Social Media Assistant, Personal Assistant Intern, Fashion Intern, Account Management Intern or whichever placement excites and motivates you the most. 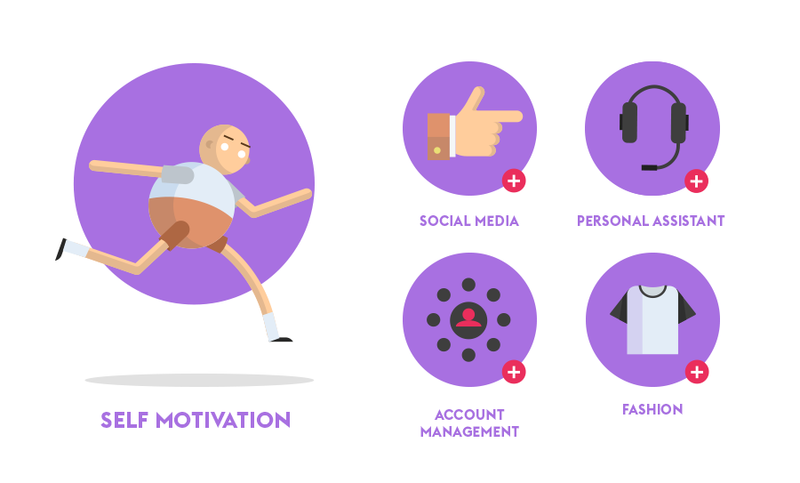 In the short span of an interview however, self-motivation may be difficult to show. Make sure to spend time talking about what motivates you and provide examples of when you have taken the initiative to respond to a problem with innovative solutions. It’s safe to say that every employee in every occupation, no matter what industry they’re in, needs soft skills to thrive – whether a secretary who needs time management skills, a lawyer who relies on good interpersonal skills or a nurse who requires excellent communication skills – and these abilities should not be overlooked when seeking an exciting new opportunity in the world of work. After all, it’s not just about what you know; it’s how you put it into practise that matters.